I will practice Preksha Meditation and introspection. I will practise peacefull coexistence in the domestic life's. I will practise self-restraint in consumption. I will practise diligence, self-reliance and simplicity. I will abstain from non-vegetarian food. I will share or part with a part of my earnings. 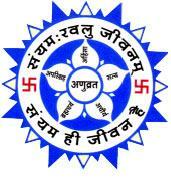 I will attend at least one training course in Anuvrat.